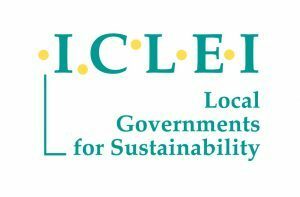 ICLEI – Local Governments for Sustainability is a global network of more than 1,750 local and regional governments committed to sustainable urban development. Active in 100+ countries, we influence sustainability policy and drive local action for low emission, nature-based, equitable, resilient and circular development. ICLEI brings a strong urban component to national and global sustainability policies and translates these policies into action. We make sustainability an integral part of urban development and create systemic change in urban areas through practical, integrated solutions. We help cities, towns and regions anticipate and respond to complex challenges, from rapid urbanization and climate change to ecosystem degradation and inequity. Our Members and team of experts work together through peer exchange, partnerships and capacity building to create systemic change for urban sustainability. ICLEI creates connections among the local, regional, national and global governmental levels. We advocate for robust national and global sustainability policies that reflect the interests of local and regional governments and their communities. Through our collective efforts to build a sustainable urban world, ICLEI is shifting the trajectory of global development. Within the past decade, the Federal City of Bonn has become both a sought-after platform for the debate on global issues and a place to learn about sustainability and related topics. Currently almost twenty UN agencies are based in Bonn amongst which the United Nations Climate Change. In November 2017, Bonn hosted the United Nations Climate Change Conference (COP23) and once again proved its capacity as a convention city. ICLEI Member since 2000, Bonn has been the seat of the ICLEI World Secretariat and the co-host of nine editions of the Resilient Cities Congress since 2010. Bonn’s Lord Mayor Ashok Sridharan, ICLEI President and Special Messenger to the United Nations Climate Change and carbonn Registry is a Co-Patron of Resilient Cities since 2017. The City is constantly working on improving its sustainable performance by adopting local action programs, successfully establishing forms of cooperation with cities all over the world and by launching activities in the field of education for a sustainable development.